Bombardier Inc. almost won a crucial order from Delta Air Lines Inc. the last time the airline bought new single-aisle planes, but a deal fell apart when the plane maker told Delta it would not make a bigger version of its C Series aircraft. Now, as the two companies again appear close to a single-aisle order, the industry is abuzz with chatter about whether Bombardier has agreed to stretch the CS300 to include a plane for Delta that would offer as many as 175 seats. The negotiations on a new Delta order have their roots in the 2011 competition, when the C Series made the finals, battling against Airbus Industrie and Boeing Co. In that order, Delta chose 100 Boeing 737-900 jets as the mainstay of its larger single-aisle fleet, or planes with more than 150 seats. It delayed ordering replacements for its smaller and older single-aisle jets that seat 100 to 150 passengers, giving Bombardier’s C Series another kick at the can. An order from Delta now would be a breakthrough for the C Series, which is more than two years behind schedule, more than $2-billion (U.S.) over budget and has put Bombardier in such difficulty that the Quebec government has paid $1-billion for an equity stake in the program, and the Montreal-based transportation giant is also seeking federal financial help. “They definitely wanted a larger aircraft previously,” said one source familiar with the 2011 Delta negotiations. Bombardier resisted building a larger CS500 version of the plane, believing the 100-to-150-seat segment represented the best niche for a new, more fuel-efficient plane and that Airbus and Boeing would be less likely to take steps to make sure the C Series never got off the ground if their cozy duopoly in the market above 150 seats was not threatened. Bombardier miscalculated. In a deal announced earlier this year between Boeing and United Airlines, Boeing offered a 75-per-cent discount from the list price of the 737NG, indicating how anxious the company is to keep Bombardier out. A commitment to a CS500 or a promise to study whether it could make a larger plane could signal that other airlines want a brand-new airplane and not Airbus or Boeing planes with new engines on aircraft that were designed decades ago. British Airways has also asked about a larger version of the plane, industry analyst and AirInsight partner Ernie Arvai said in a report on Tuesday. A 150-seat CS500 would have lower fuel and maintenance costs than a 150-seat Airbus A320, even with the new more fuel-efficient engine Airbus is offering, Mr. Arvai said. It is a similar story when the Bombardier plane is compared with the 162-seat Boeing 737-800. Adding four rows of five seats each to the 130-seat CS300 is a short stretch that should be relatively simple and take the plane up to 150 seats, he wrote. The Delta MD88s, which the airline is seeking to replace, seat 149 people. Delta owns 83 MD88s and leases another 33. They have an average age of 25.2 years. 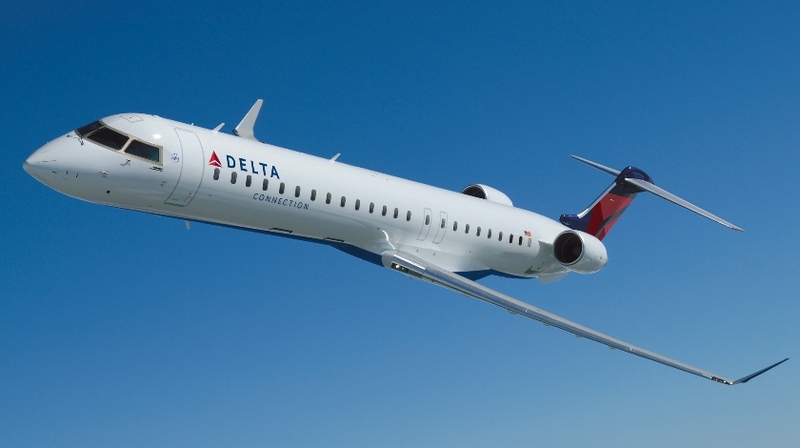 A CS500 would be an ideal plane for Delta to replace the MD88s, one industry source said. “The CS500 is virtually a drop-in for the MD – just 30-year newer technology,” the source said. But an aerospace industry source in Europe said he would bet money that the official announcement of the Delta deal will not include a CS500, saying Bombardier does not have the cash to develop a larger model and will need to wait until the revenues generated by the smaller CS100 and CS300 planes starting rolling in later this year.